Versatile, savory, and aromatic, take any meal to the next level with this authentic 1/4 wheel parmigiano reggiano DOP cheese. 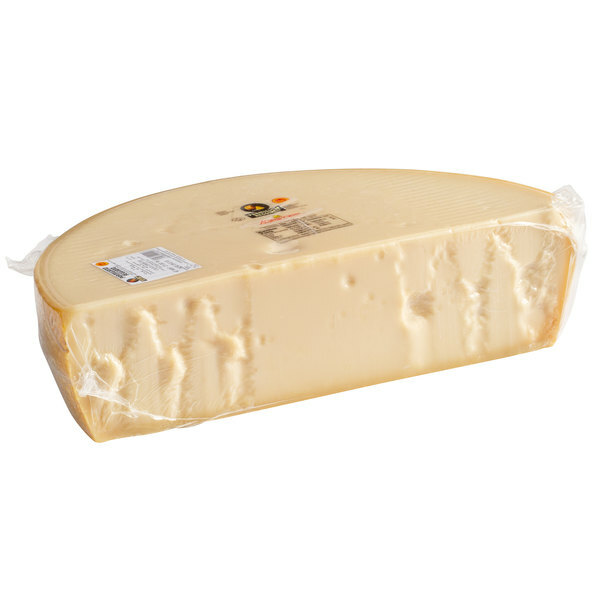 This parmigiano reggiano is a mature cheese with a slightly nutty, savory-sweet taste and a flaky texture. 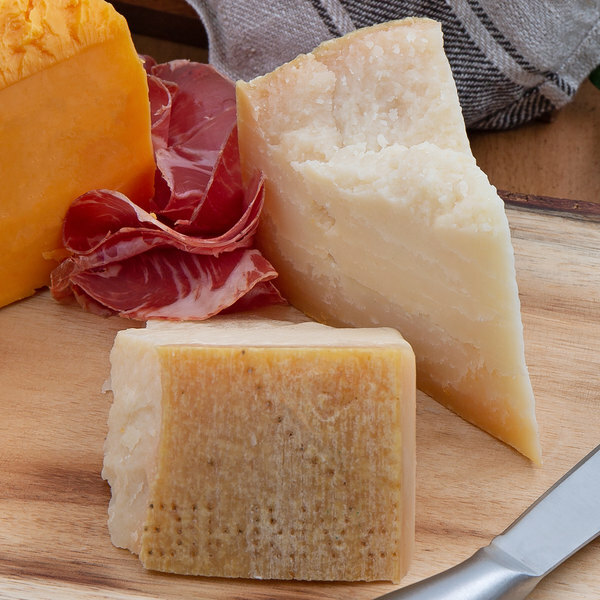 A great source of umami, the recognized "fifth taste" that adds a savory complexity to meals, parmigiano reggiano is a perfect way to enhance the flavors of a wide array of foods. Essential in many Italian dishes, grate or shave over your classic pastas dishes, salads, and soups, or even over vegetables to deepen their flavors. Or, offer delectable poached eggs with parmigiano crisps for your brunch crowd. You can even serve as a small snack at wine tastings, pairing with artisan bread, dry white wine, and jams or fruit. With this 20 lb. supply, discover a truly endless amount of new menu options! Parmigiano reggiano is protected by Italian D.O.C. laws, which outlines the area it must be produced in, as well as how the cheese is made, in order to be considered true, authentic parmigiano reggiano cheese. 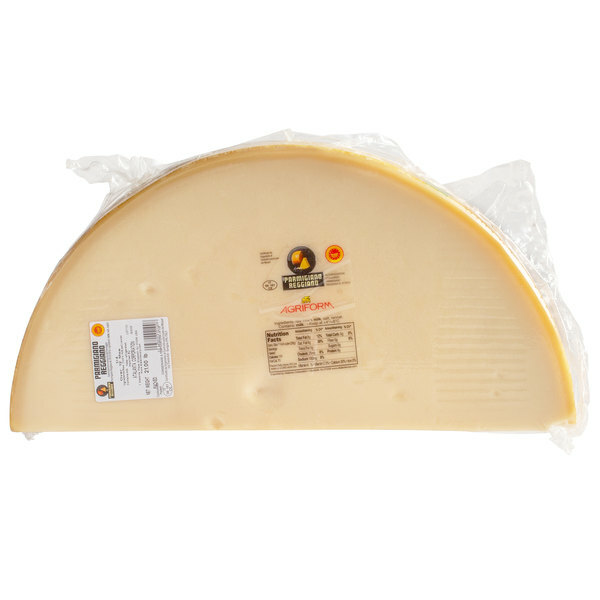 Made in Italy using rigorous artisan methods and high quality raw milk that contains no additives, this cheese has the right to bear the parmigiano reggiano name on its golden rind. A great flavor enhancer in a wide variety of foods, this cheese also boasts an impressive shelf life, making it a valuable addition to your restaurant, bistro, or cafe. Beginning in 1945 with the importing of polish hams to the U.S., Herbert Moeller and Leon Rubin looked to fill a gap in the U.S. domestic food importing market, and Atalanta Corporation was born. Atalanta strives to bring the highest quality specialty import foods to the market, and it sources from all over the globe to do so. From specialty seafood, to pastas and grains, to dairy and meat products, Atalanta provides the unique, specialty foods your customers want, at a value you can afford. The European Union has certified that this product is traditionally and entirely manufactured in a specific location and that its characteristic properties can be attributed to the geographical region in which it was produced.